For some reason kids LOVE learning about spiders! That makes me happy because I LOVE teaching about them! 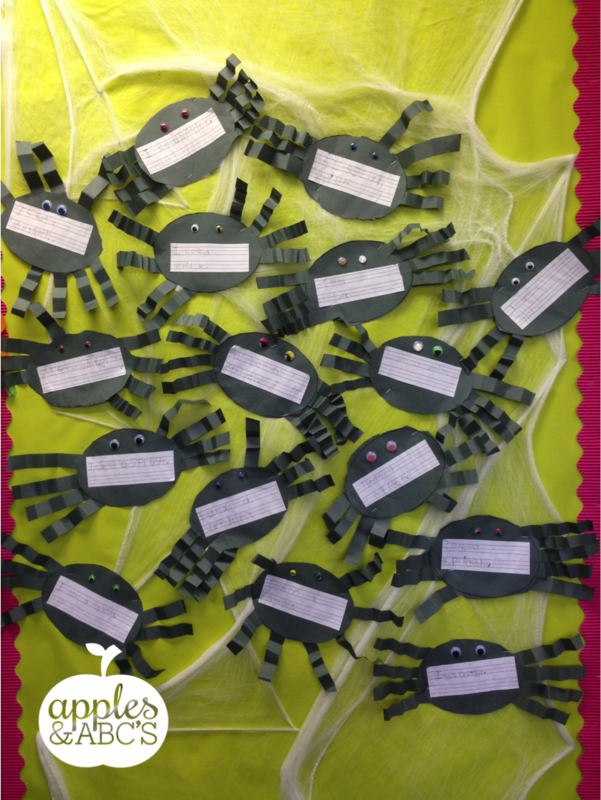 We made some SpOoKy spiders and wrote a sentence on them. 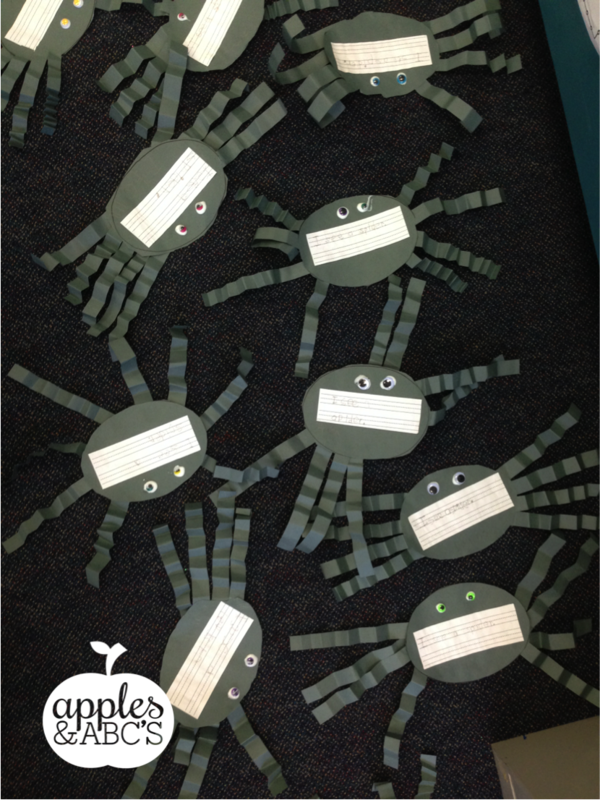 Check out our cute spider bulletin board! We did this project over two days. 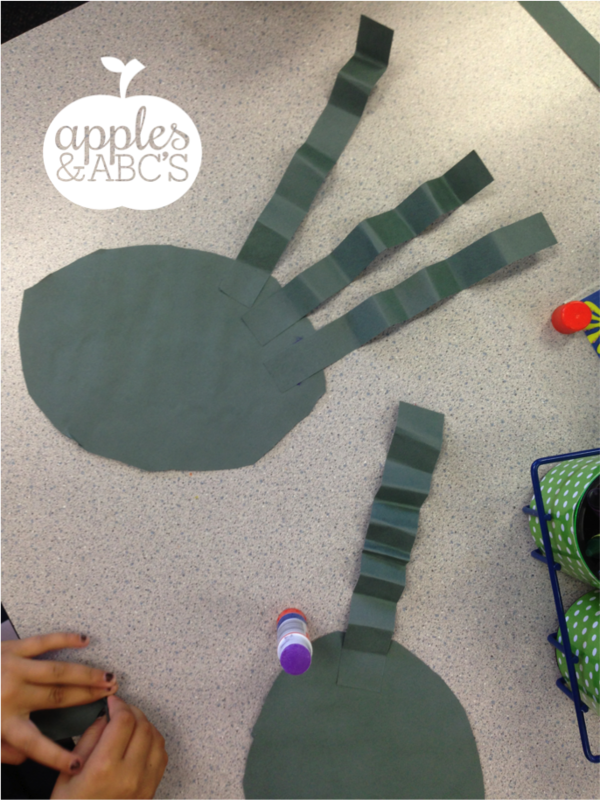 The first day we made the spider craft. 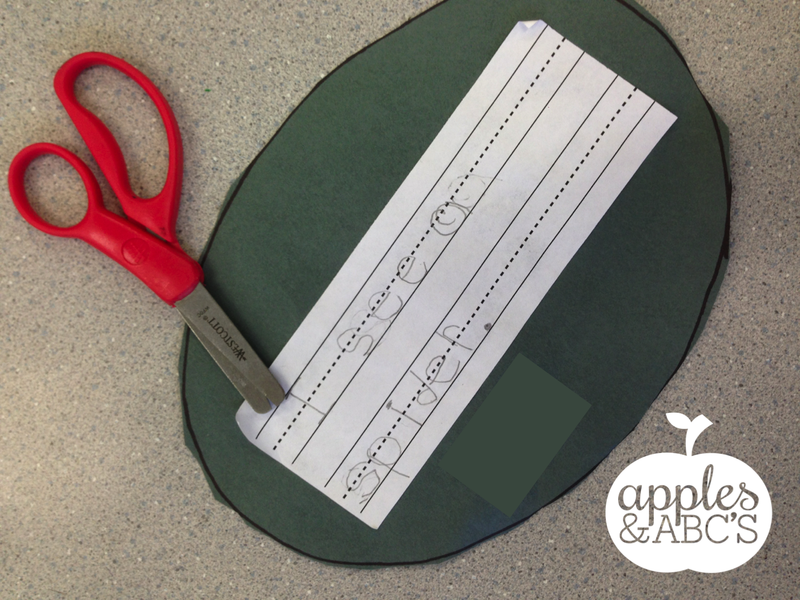 I gave each of them the oval to cut out and they had to make the bumpy legs. They were really good about helping each other if their partner was having trouble folding the legs correctly. We all wrote, "I see a spider." This was a directed writing, and we wrote the sentence during our small group time. Here are our spiders happily hanging on their spider web!